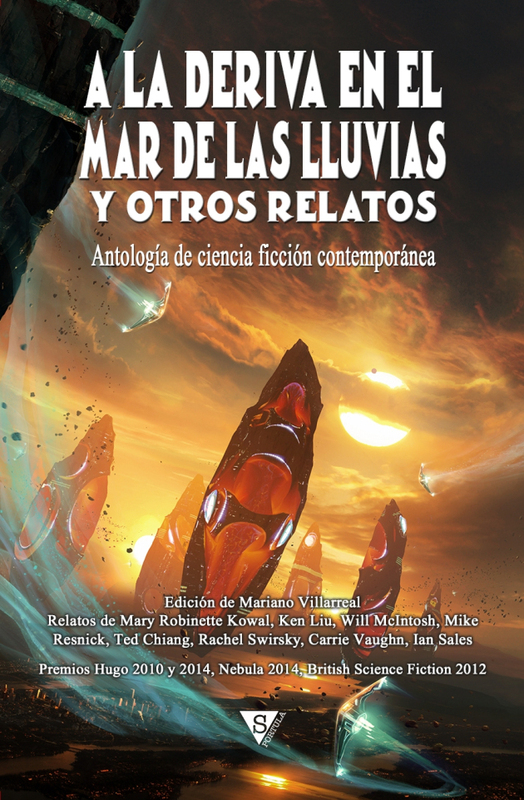 More details (in Spanish) can be found here, and the anthology can be pre-ordered on Amazon (Spain here and US here). Of course, Adrift on the Sea of Rains is still available in English – as are the other three books of the Apollo Quartet: The Eye With Which The Universe Beholds Itself, Then Will The Great Ocean Wash Deep Above and All That Outer Space Allows (the titles link to Amazon, but you can also buy them from the Whippleshield Books website here). Categories: books, my fiction, science fiction | Tags: apollo quartet, carrie vaughn, mariano villarreal, mary robinette kowal, mike resnick, nova fantástica, rachel swirsky, ted chiang, will mcintosh | Permalink.